Striving for excellence from the start. All our programs here in Little Dreamers Christian Academy are age-appropriate to provide our students the sufficient push that they need to maximize their potentials, while allowing them to enjoy the lessons and activities that are set to help them discover and learn. Each program is ingrained with values-formation lessons which are targeted to help children develop proper behavior and good character while growing up. The Creative Curriculum® for Infants, Toddlers, & TwosFor more than a decade, The Creative Curriculum for Infants, Toddlers, & Twos has helped teachers understand developmentally appropriate practice and how to create daily routines and meaningful experiences that respond to children’s strengths, interests and needs. The Creative Curriculum® for PreschoolThe Creative Curriculum for Preschool is an award-winning curriculum for preschool success. 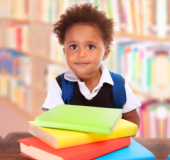 Comprising The Foundation, five research-based volumes that provide the knowledge base of the curriculum, and the Daily Resources, which offer step-by-step guidance in the form of Teaching Guides and additional daily teaching tools, The Creative Curriculum for Preschool is fully aligned with the Head Start Child Development and Early Learning Framework and state early learning standards. If you are interested about enrolling your child to any of our programs, you may visit our campus or give us a call at 225-778-3732 for details.